Let's look at depth - since you're covering a fair bit of surface, you will need a minimum of 2-3 items or product groupings. 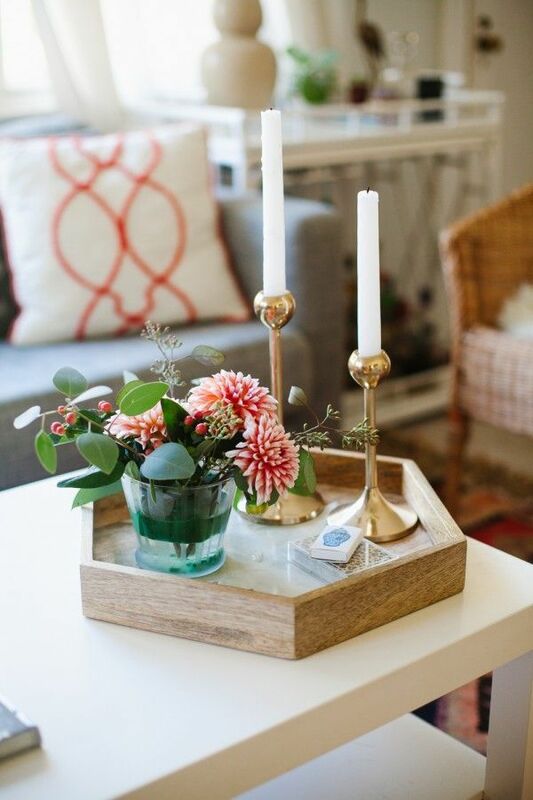 For example, in the image below features a grouping of candle holders - displaying a variety of heights (we'll touch on that further down) and a vase with flowers. 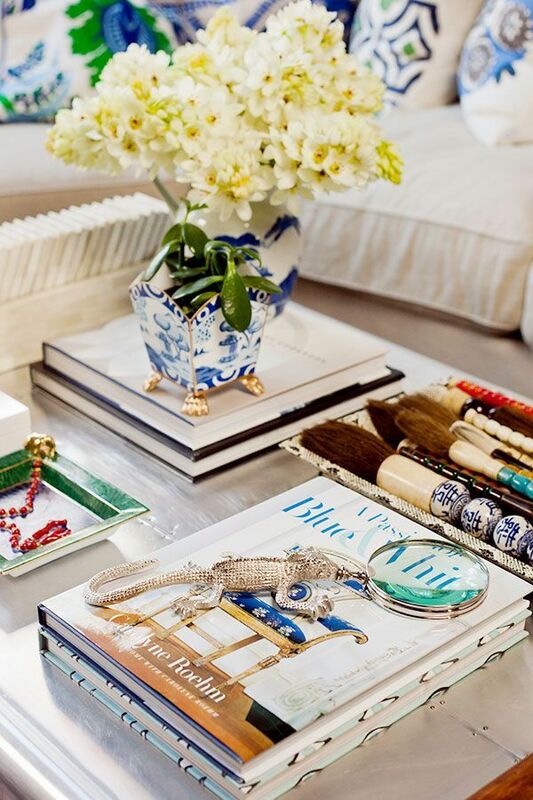 Design Tip: As the table featured here is a glass table and the accents used are also glass, the display needs to be "grounded" - hence the heavy book piles featured on the table's shelf. 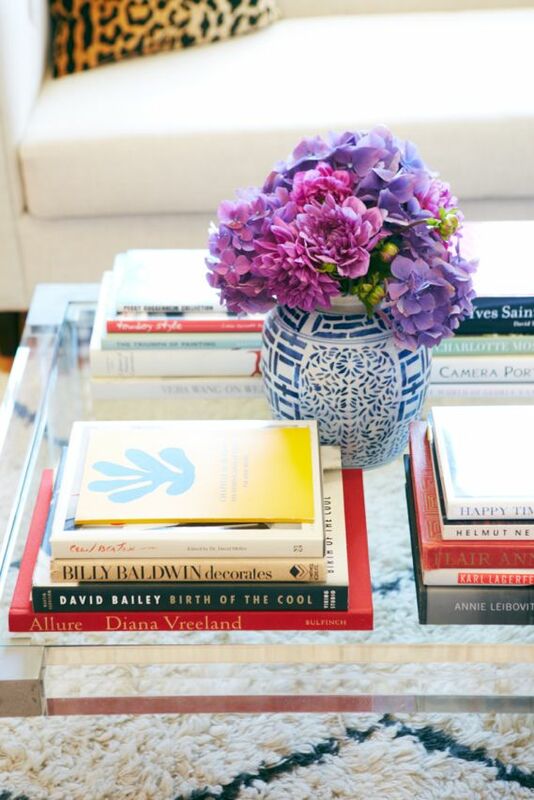 The image below features two individual items (#1 - the vase with flowers and #2 - the bottle with one flower) plus a grouping of several items (the pile of books + the candle holder). 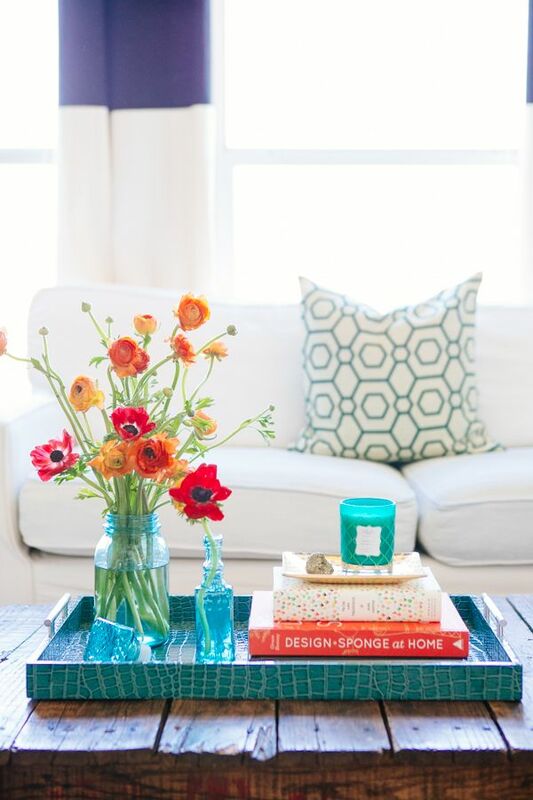 Design Tip: Display your product groupings and items close together, but still with a clear separation. This way, each item will have enough room to breath and be noticed in it's entire beauty. 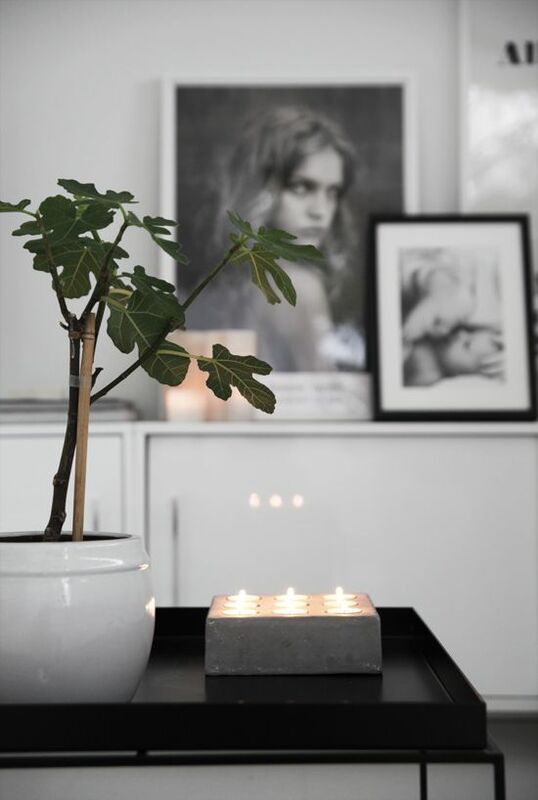 Here's an example of a minimalist approach, featuring just two items. But still displaying different heights and colours. Following is an example of how you can achieve a designer look while featuring 5 groupings of products... 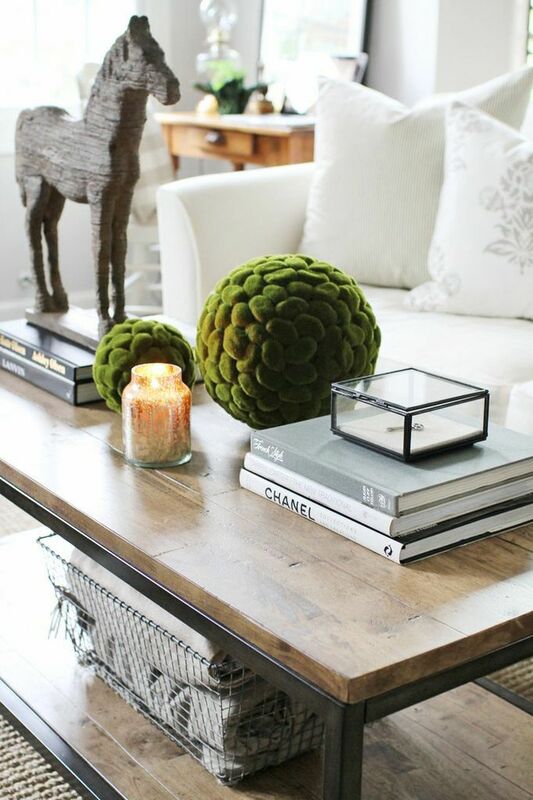 It all depends on the look that appeals to you and how heavy you choose to go with your "coffee table styling". Still, different heights and colours are displayed. We already touch on heights, but let's take a look at some more examples, as featured below. As you will notice, four different heights are showcased. First, the tallest element - the pile books and horse, followed by the decorative balls, the pile of books with the glass case and the candle holder jar. Design Tip: The height of the horse was unbalanced when compared with the space taken on the tables surface - not "heavy" enough. So, a heavier base was created by using a pile of large books under it. And last, but not least, Colour: A little of - as featured in the image below - or lots of, as per the next two images. Again, the choice will be very much related to your taste and decorating personality. 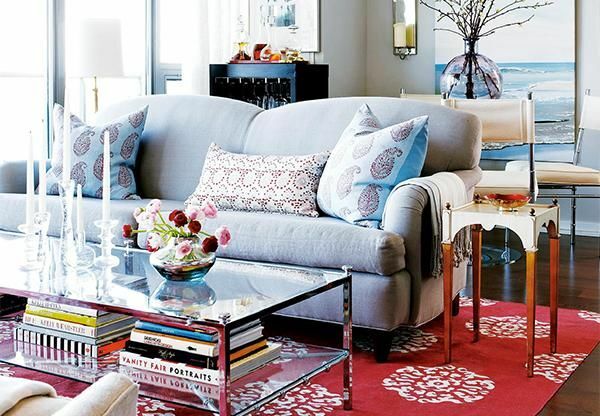 For more design tips, decorating ideas and stunning home decor product introductions Sign up to our bi-weekly Newsletter - THE STYLE JOURNAL.